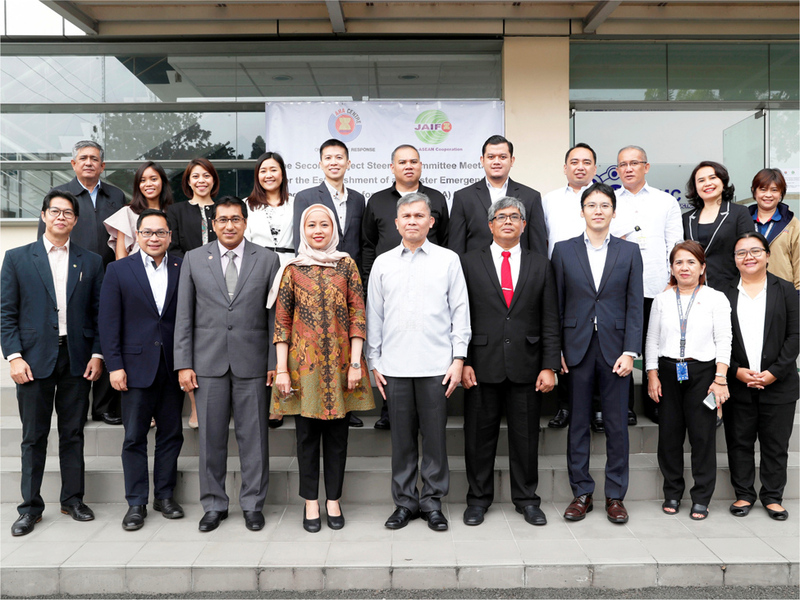 Entering its second phase of implementation, the Disaster Emergency Logistics System for ASEAN (DELSA) Phase II project continues to contribute to the implementation of One ASEAN One Response, specifically in the area of stockpile deployment to disaster-affected countries. As the leading mechanism in the Phase II project, the DELSA Phase II Project Steering Committee (PSC) meeting was held on the 24th of August in the OCD-NDRRMC Office, Camp Aguinaldo, the Philippines. As reported in the meeting, during 2018 the DELSA Phase II project has contributed to stockpile deployment and local procurement in response to the floods in Lao PDR, floods in Myanmar, and the earthquakes in Indonesia, providing relief items to a total value of USD 426,867. The remaining ASEAN stockpile, which is stored in the UN Humanitarian Response Depot in Subang, Malaysia, consists of 45 types of relief items amounting to the total value of USD 1,777,460. 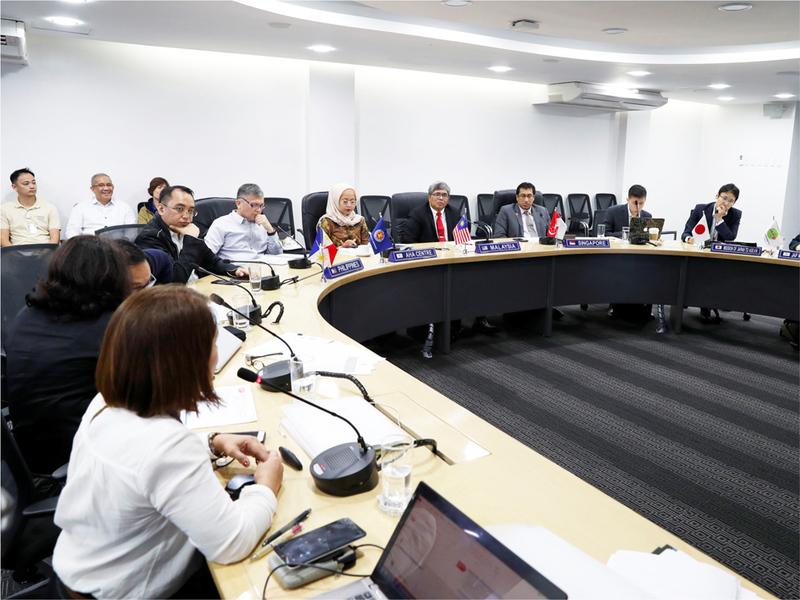 This meeting also formed an opportunity for the DELSA Project Management Team to report the progress of the establishment of the satellite warehouses in the Philippines and Thailand. The satellite warehouse in the Philippines utilises a building owned by the Armed Forces of the Philippines in Camp Aguinaldo, which after some renovations, will be ready to house the satellite warehouse. 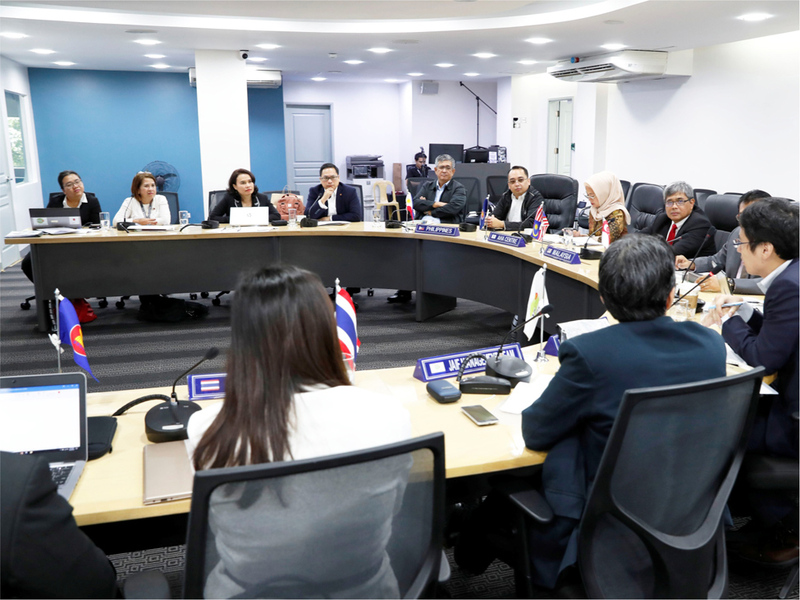 Meanwhile, the satellite warehouse in Thailand is planned to be fully operationalised by the first quarter of 2019, with a scheduled official launching during the ASEAN Summit in April 2019, coinciding with the induction of the Thailand Chairmanship of ASEAN. 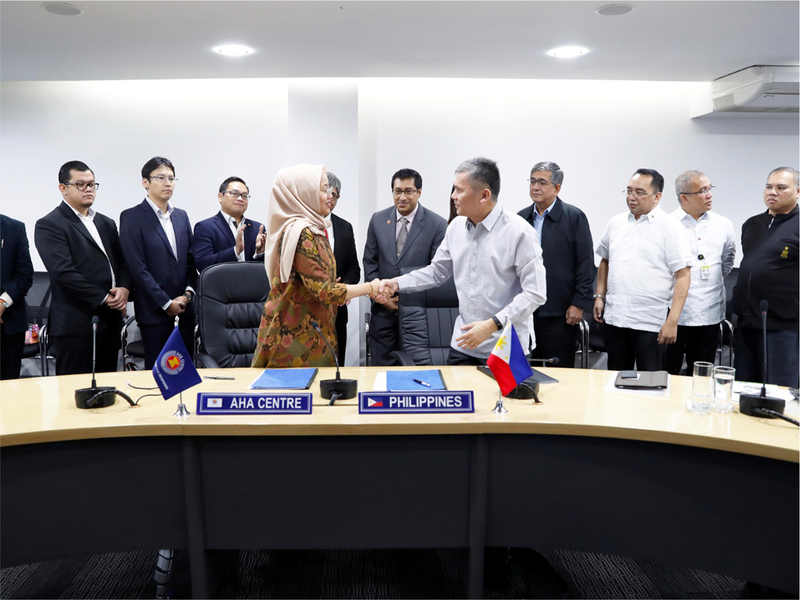 A Memorandum of Understanding (MoU) for the establishment of the satellite warehouse in the Philippines was also signed during the meeting by Ms. Adelina Kamal, Executive Director of the AHA Centre, and Under Secretary Ricardo B. Jalad, Executive Director of NDRRMC and Administrator of the OCD Philippines. 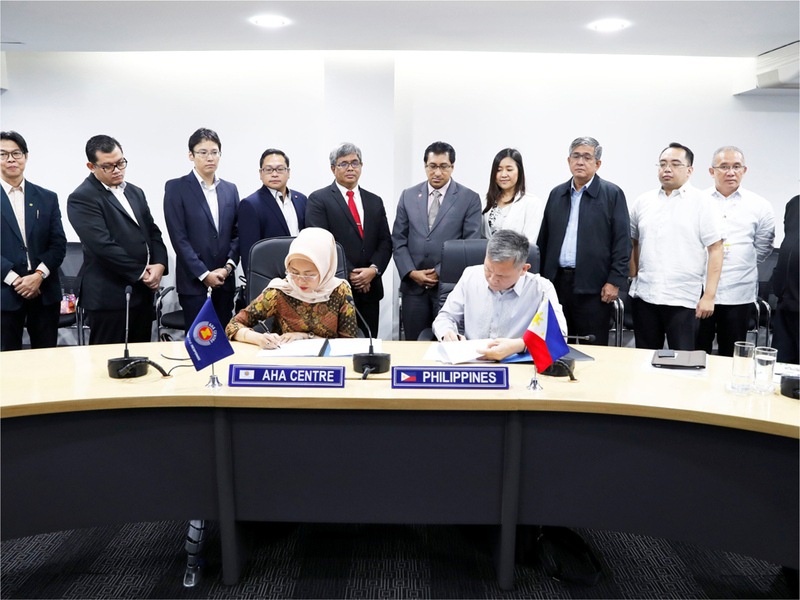 This MoU marks the strengthening of cooperation and commitment between the AHA Centre and OCD Philippines to support the readiness of ASEAN in responding to disasters. The meeting also resulted in other significant guidance and decisions on key resources, criteria and partnerships to support the network of the DELSA warehouses. A key study on stockpile identification was agreed, with results to act as a baseline that will serve as a reference for minimum types and quantity of stockpiles to be stored across all three DELSA warehouses, as well as specific stockpiles unique to each warehouse. The DELSA Phase II PSC Meeting was attended by the AHA Centre, ASEAN Secretariat, representatives from Singapore and Malaysia as the Co-Chairs of the ACDM Working Group on Preparedness and Response, representatives from the Mission of Japan to ASEAN and Japan-ASEAN Integration Fund (JAIF) Management Team as the donor, and representatives from the Philippines and Thailand as the host countries of satellite warehouses.